This past week the world bid farewell to one of the finest people to ever stand amongst us. 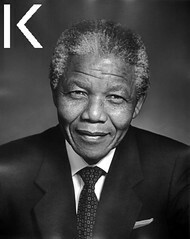 Nelson Mandela was born in South Africa in July of 1918. He was the man who completely transformed the landscape of a country despite being in prison for 27 years. Mandela passed away December 5th at the age of 95. To say he was an inspiration to the downtrodden people of the world would be a gross understatement. To say he was a leader of men and a man of peace would also be be barely adequate. He was a revolutionary and humanitarian who accomplished things that no man thought possible and with his passing takes his place alongside the likes of Ghandi and Martin Luther King. His story is well-known. His exploits and sacrifice on behalf of the black population of racist South Africa are the story of legend. Very few men have turned a life of misery into a positive shining beacon for all to behold. One of Mandela’s famous quotes states simply, “It always seems impossible until it’s done”. During the early part of his incarceration as an enemy of the state, Mandela was subjected to varying degrees of both physical and mental abuse. He withstood the constant affront and after a time became both a friend and inspiration to his jailors! They could not ignore his profound commitment to the principals of truth, justice and equality even while locked away within the oppressor’s cage. “Let freedon reign. The sun never set on so glorious a human achievement”. By never allowing his predicament to color his unwavering strength, Mandela slowly and steadily climbed an extremely high and treacherous mountain. He could have easily slipped and fell into a very deep chasm of hate and resentment but he managed to continue to move forward…move upward. is the stuff of fantasy but when you consider how he continued to heal the country bringing the black and white populations together it makes for an even more incredible story. “If there are dreams about a beautiful South Africa, there are also roads that lead to the goal. Two of these roads could be named Goodness and Forgiveness.” When his body arrived home at the Eastern Cape Province the streets were filled with his countryman cheering, singing, mourning the great man as the flag draped coffin was driven past. God Bless Nelson Mandela for a life well lived..an inspiration to people the world over. This entry was posted in Bio, International Politics. Bookmark the permalink. How do you properly pay tribute to such an extraordinary human being, someone who positively touched and affected not only his countrymen, but the people of the WORLD? You did a great job above, Joe, hitting all the high points of his stellar life. We all knew his day was coming, since he’d been sick for so long, but even when it happened I was overcome with grief. The world lost an incredible person and teacher that day. I won’t even use the word “icon”, since it seems so trite for the likes of Nelson Mandela. It takes a very special type of person to turn the lowest lows into the highest highs, with great aplomb, no less — and turn his enemies into friends in the process. What lessons we all could learn from him! What lessons we all SHOULD learn from him: Empathy, love, forgiveness, perseverence. Life should not be wasted on hate, prejudice, ignorance, vengeance. I think what saddened me most about his passing was the reaction from the “right wing” in America (or should I say “wrong wing”?). Quoting their “hero”, Ronald Reagan, they continue to this day to call Mandela a terrorist, an enemy of the state. This is proof positive that that group has nothing but hate, prejudice and vengeance in its collective heart (using the word “heart” quite loosely here). They have utterly failed to see the big picture here, and are once again on the WRONG side of history. I pity them. They failed to learn the teacher’s lessons. Welcome back Joanne. We missed your great observations! What can anyone say? 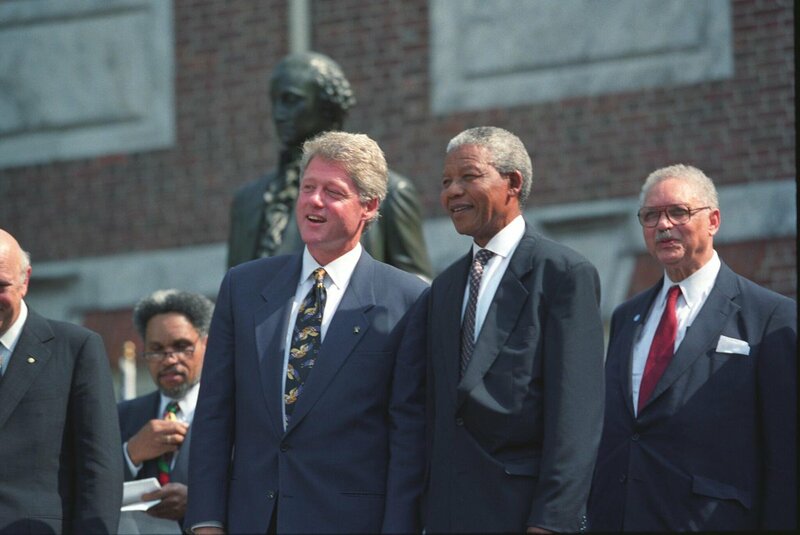 Mandela was an extraordinary human being who taught us about life, live and sacrifice for justice. Hopefully we all learned something. I agree with “click here” above. You’ve produced a great blog, Joe, and I’ve enjoyed all the conversations your readers (and I) have engaged in on the issues of the day. I note you haven’t blogged too much recently, and to be honest, I’ve missed it. I also enjoy seeing your garden grow, especially since I’m not gardening this year (which is killing me). I’ve gotten a lot of vicarious enjoyment out of yours (even if I haven’t commented, since it hurts too much). Come back!